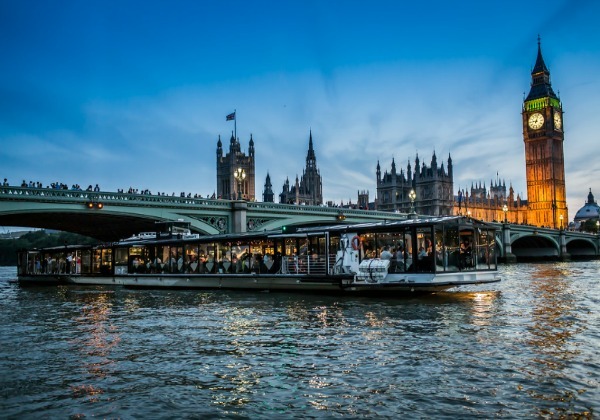 From the city’s early roots as a Roman settlement called Londinium to the glory days of the British Empire and into the modern era, the River Thames has played an integral role in the story London. Sitting at the center of the city for nearly 2,000 years, it’s little wonder why so many of London’s most notable buildings and monuments were built along the banks of the river. Today, taking a trip down the mighty Thames is one of the best ways to appreciate the sheer scale of this remarkable city. Thames River cruises operate regularly from the London Eye near the center of the city to the Royal Borough of Greenwich in South East London. Between the two ends are some of London’s best-known landmarks. Starting at the London Eye, an enormous Ferris wheel that has become a hallmark of the city’s skyline, cruise through historic Westminster where you’ll have an opportunity to snap amazing photos of Big Ben, the Houses of Parliament and Whitehall. Past Westminster is the City of London. Anchored by St. Paul’s Cathedral, this marks the site of the city’s original Roman settlement and has since been transformed into a modern business district. Keep your eyes peeled for the Gherkin, London’s famous pickle-shaped skyscraper. Marking the end of the City of London is the iconic Tower Bridge and the imposing Tower of London. Cruising through East London you’ll make your way past the former wharfs and warehouses that helped establish London as the maritime capital of the world in the 18th and 19th centuries. At the end of the line is the Royal Borough of Greenwich, home of the National Maritime Museum and Royal Observatory, where you can stand on the Prime Meridian and straddle the Eastern and Western Hemispheres. 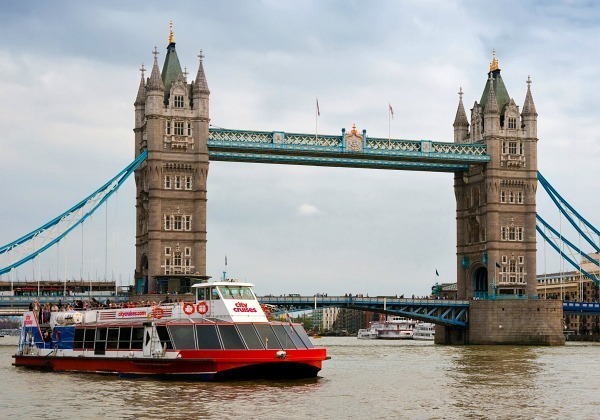 Operating throughout the year, rain or shine, river cruises are one of the most convenient ways to sightsee in London. There are a variety of different types available, ranging from slow-moving dinner or afternoon tea cruises to handy hop-on, hop-off cruises and adrenaline-pumping speedboat journeys James Bond style. 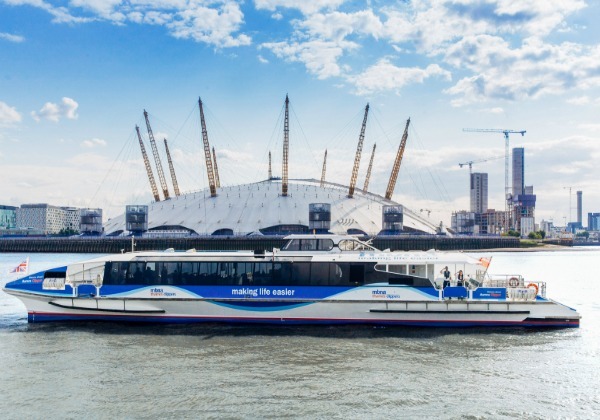 Pick the right one for you and enjoy discovering the city from London’s iconic waterway. Take to the Thames for unparalleled views of London's most spectacular landmarks. 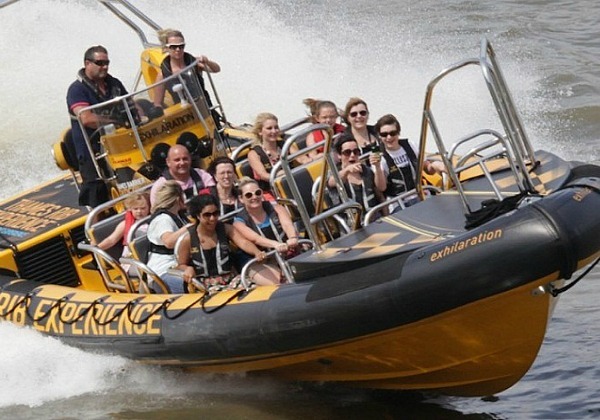 From romantic cruises to James Bond style boat rides, here are the best Thames cruises!